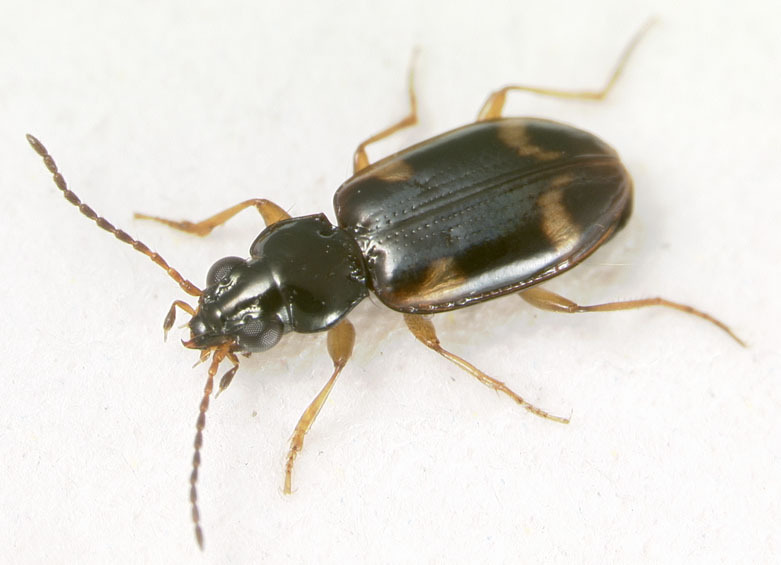 In an earlier post, I wrote about how the distinctive subgenus Lindrochthus, viewed in the literature as consisting of the single species Bembidion wickhami, was actually at least two species. And those two species live together at Mount Tamalpais, just north of San Francisco; Peter Hammond collected them at a single site on Barths Creek on “Mt Tam”. In early September Dave Kavanaugh and I went to Mt Tam, and looked for Lindrochthus along the banks of Cataract Creek and Barths Creek. 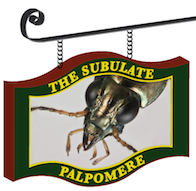 We knew the exact localities where Peter Hammond and Kip Will had collected the beetles I had previously sequenced, and we went to those spots. We couldn’t find the beetles there. Mind you, it is very dry in September (the winter rains had not yet started), and so we thought that perhaps the beetles were in hiding. But we had hope that in the moister, more humid areas near the creek we could find them. We looked in perhaps 20 or so places, and found them in only one small patch. 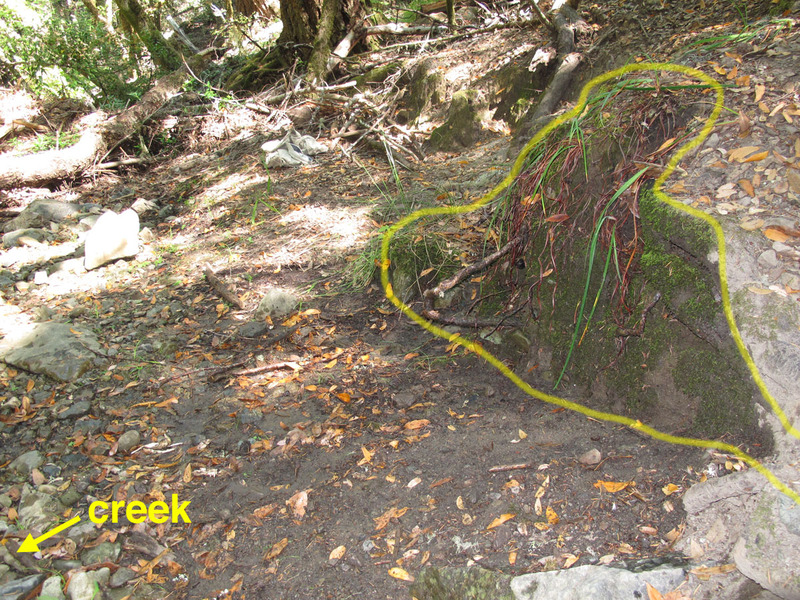 This patch was only about 2 square meters, and consisted mostly of a moss-covered small cliff face, about 3 meters from the water of Cataract Creek. The area with beetles is outlined in yellow on the image below, and extended a small bit to the right, outside the view of the photograph. We got a total of 31 specimens of Bembidion subgenus Lindrochthus, all by dumping buckets of water on that patch. The beetles appeared after the water wet the moss and soil. 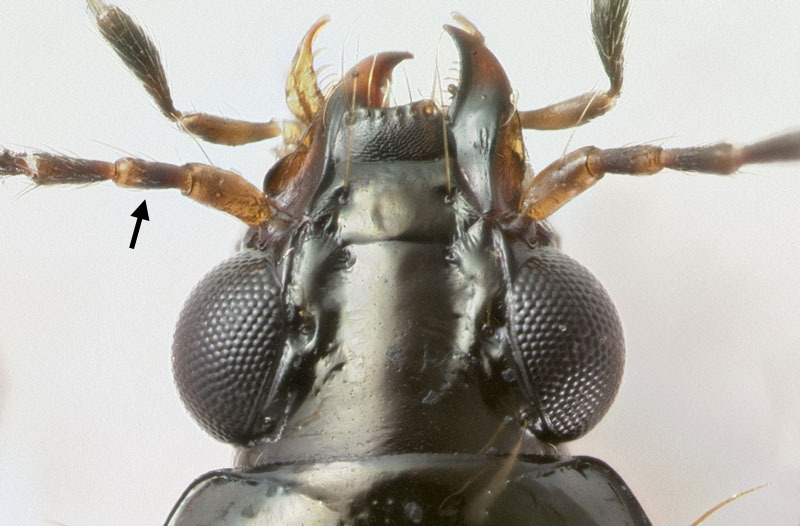 In addition to the Lindrochthus, some Bembidion iridescens lived there. We were hoping that our 31 specimens would be a mixture of both species of Lindrochthus known from Mt Tam, but I wouldn’t find out until I got back, sequenced seven, and looked at all of them more carefully. These new specimens also gave me enough material to enable me to find definitive morphological characters to tell the species apart. As it turned out, they are easier to distinguish than I expected. All 31 of the Lindrochthus we collected belonged to a single species (that was clear from the DNA sequences and the bodies). This species is the one that I suspect is not true B. wickhami, but is instead probably undescribed. But for the moment I’ll call that the “B. wickhami #2″ (the pink half-dot shown on this map), as opposed to “B. 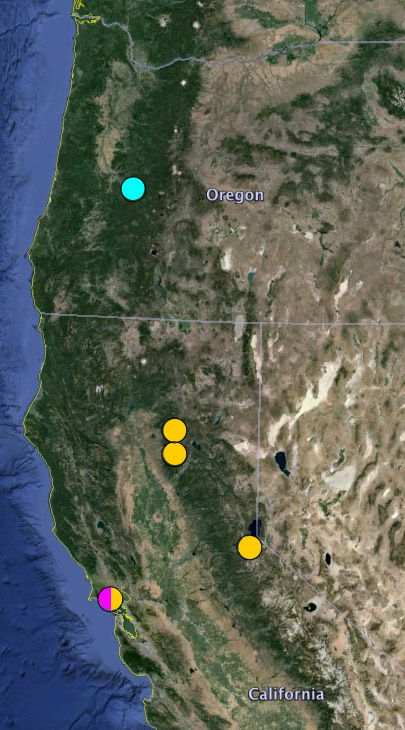 wickhami #1″ (the orange dots in the same map), which I think is true B. wickhami. Somehow we missed entirely B. wickhami #1 in our hunt on Mt Tam; perhaps its microhabitat requirements differ, or they are more hidden in the dry season. So, Lindrochthus definitely contains at least two species. There may be more, however; as mentioned in my earlier post, the single specimen sequenced from the Cascades of Oregon has a different 28S sequence. The genitalia of that single male look very much like that of “B. wickhami #1″, to which its 28S is most similar. Until we collect more specimens, for sequencing and morphology, we won’t understand the status of specimens from the Cascades. 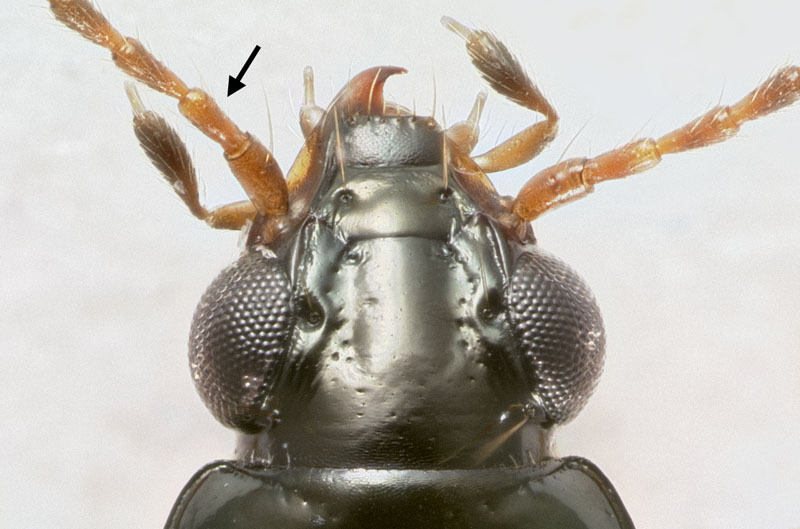 This entry was posted in Fieldwork, Revising Bembidiina, Taxonomic Process and tagged Bembidion, genitalia, Lindrochthus, Mount Tamalpais. Bookmark the permalink. The points between the eyes; would they be able another differences in wickhami1-wickhami2? I’m not sure. I didn’t notice that as a consistent difference, but I didn’t really look at that character carefully. Once I have time to compare some series of specimens, I will check that!